It took Foreigner three years to release a follow-up to its 1981 blockbuster, 4. 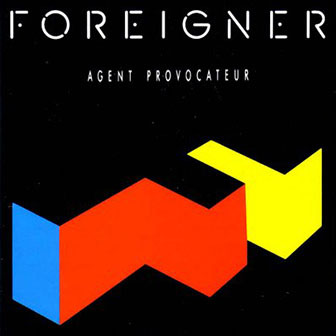 Perhaps that wait wasn't long enough, because Agent Provocateur is a prime example of the best and worst traits of AOR: a handful of remarkable songs padded by toothless filler. Despite contributing a few killer riffs to Foreigner's '70s canon, guitarist/keyboardist Mick Jones isn't known for his six-string abilities. His biggest strength is his knack for melody as a songwriter, keyboardist, and producer, and all these qualities are evident on Agent Provocateur. Of course, vocalist/songwriter Lou Gramm is indispensable as the band's golden-throated frontman. Jones largely guided things behind the studio console, but a co-producer usually helped, such as Alex Sadkin on this album. "I Want to Know What Love Is" became Foreigner's first and only number one single, and it's not hard to see why. Its dreamy, hypnotic feel is due in part to Gramm's soulful lead vocals and the New Jersey Mass Choir's background vocals. Jennifer Holliday and the Thompson Twins' Tom Bailey help out as well. "That Was Yesterday," a terrific hit single, features a catchy chorus and a nifty synthesizer lick. "Reaction to Action" and "Down on Love" were both minor hits, but there's a huge difference in quality between the two; the former is the epitome of bland, formulaic AOR, while the latter includes a pleasant chorus and a warm keyboard melody. "A Love in Vain" and "Growing Up the Hard Way" have a few good moments too. — Bret Adams. "Boy your luck is running out"
Hey, what is this sheet and pillow laying on the floor?